Representing yourself in criminal cases is a big mistake. It is even a mistake for attorneys to represent themselves in any sort of case. To paraphrase Abraham Lincoln, a person who represents themselves has a fool for a client. Why is that? Because we are all human. The average non-lawyer citizen has no knowledge of the inner workings of the court system, rules of evidence, the laws in general and courtroom etiquette. When a person is representing themselves they have a tendency to talk to much to try to explain and “defend” their actions. This can ultimately lead to saying something that should not have been said. When you have a buffer (the lawyer) you have someone standing in the way of your making mistakes and jeopardizing your freedom. This is important whether you have legal training or not. In the recent unpublished opinion of People v Anthony Lewis McCrory the Michigan Court of Appeals sent the case back to the trial court for a new trial. It was decided that the trial court did not properly explain to the defendant the risks of representing himself and there was no determination by the court that the waiver of an attorney was knowingly, voluntarily and intelligently done. MCR 6.005(D) covers the requirements that a court must follow in order to determine if a person understands the risks of waiving an attorney. It was determined that the court did not speak to the defendant regarding the “pitfalls of proceeding to trial without counsel” or go over the risks of self-representation. The court erred and a reversal was required. Lewis & Dickstein is Michigan’s premier criminal defense law firm. The firm can help you all your criminal law questions or problems. The issue of self-representation comes up often in the area of criminal law. People think that there is not much to risk so why spend the money for a good attorney. This thinking could not be more wrong. You must sit down in a calm manner and think about the risks vs. benefits. The risks are possible loss of freedom, intensive probation, large amount of fines and costs and other risks such as job loss, denial of applications for school or mortgages. The ramifications are really to numerous to mention. LEWIS & DICKSTEIN, P.L.L.C. understands that money is an issue for most people. However, when a person is incarcerated the ability to earn money ceases. Self-representation is penny wise and pound foolish. What you save by not hiring an attorney will likely cost more in the long run with penalties. The law firm of LEWIS & DICKSTEIN, P.L.L.C. 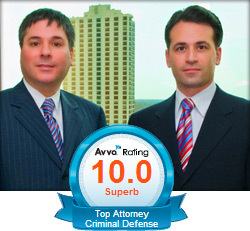 is the premier law firm in the State of Michigan. The firm’s attorneys represent people charged with criminal offenses in state and federal court’s all across the United States. The attorneys at LEWIS & DICKSTEIN, P.L.L.C. take their obligation to protect people charged with criminal offenses extremely seriously. 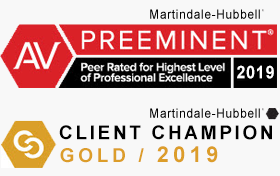 The firm’s attorneys are highly experienced, nationally recognized, award winning, and well respected by their peers, the judiciary and current and former clients. 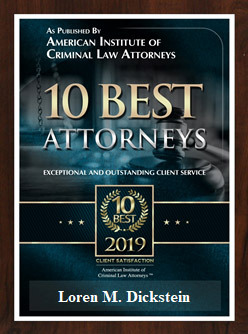 If you are thinking about representing yourself — you owe it to yourself to speak to the attorneys at LEWIS & DICKSTEIN, P.L.L.C. They will make sure you are protected and all your rights are protected as well. Please call us at (248) 263-6800 for help or complete a Request for Assistance Form and one of our first rate attorneys will call you.